Requests to use a Redfield Campus room may be made by contacting rcrooms@unr.edu or calling (775) 784-4046. The Nell J. Redfield Building at the Redfield Campus has 11 carpeted rooms, nine of which have large windows for natural light, and can accommodate groups of 10-30 and two rooms that can accommodate groups of 40-60. All rooms have “smart” lecterns to provide the latest technological presentation aides. They are equipped to provide wireless Internet access with a Guest ID or UNR Net ID. Most rooms can be configured in a variety of styles to accommodate your meeting or training needs. Additional room configurations are available upon request and may result in additional charges. 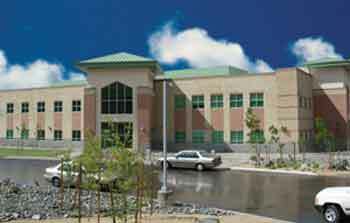 The Redfield Campus offers several facility choices ranging from: smart classroom/meeting rooms and computer classrooms. For additional information, please contact Becky Brewer at (775) 784-4046 or via email at rcrooms@unr.edu.